If you are like me, I'm always looking for more ways to get my veggie quota for the day. After observing my eating habits for about a month, I noticed that veggies were missing from my morning meals (aka, breakfast). With this information, I decided to explore simple, creative ways in how I could incorporate a healthier dose of vegetables in my morning meals. After all, if it's green, it's got to be good for you, right? I believe wholeheartedly that healthy food should be delicious. For if it doesn't taste good, it isn't very enjoyable and I won't want to continue eating it for the sake of it's nutrient content and density. 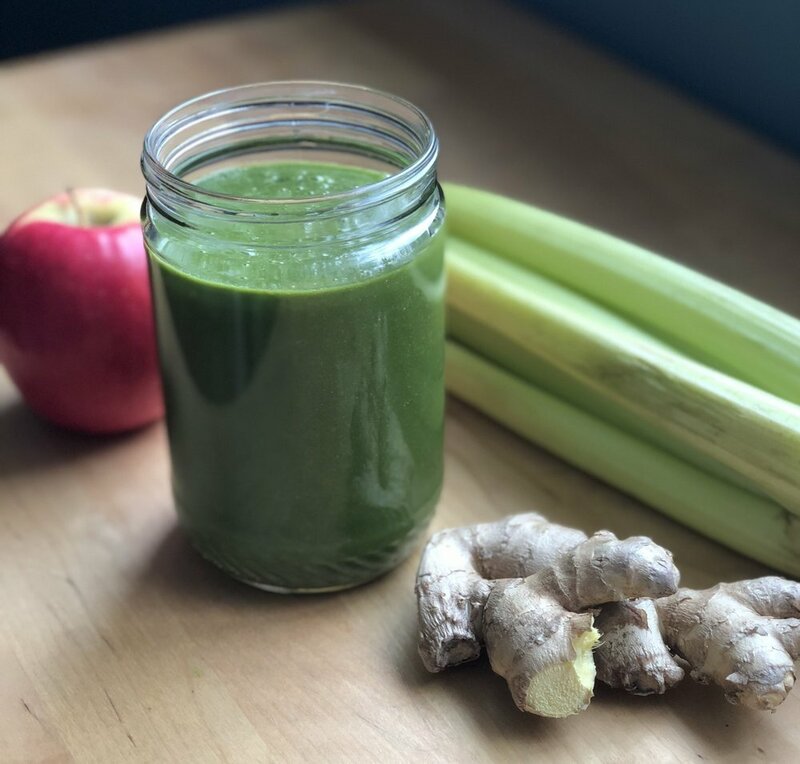 So after a few spins around the block with this recipe, I finally have a green, veggie smoothie I'm proud to share with you. I hope you enjoy this as much as I do and find that it will also help you incorporate a healthier dose of vegetables in your life, morning, day or night. 1.25 Cups Coconut Water, Grapefruit Juice, POM Juice, or Apple Cider (I use POM) - you might need a little extra to aid in the blending process. Add greens (kale or spinach), apple, cucumber, celery, hemp seeds, mango, mint, and avocado to blender. Turn on blender slowly, and continue to increase speed to high, until mixture has a smooth, creamy texture. Pour into glass and enjoy instantly! This makes about five to six cups of smoothie. Store in airtight container if you don’t use all at once.